Video surveillance is an essential tool for any business or home to help secure families, employees, customers, property, and possessions. Ohio Voice Data Cabling (OVDC) provides reliable commercial video surveillance solutions that you can trust. Surveillance cameras-also known as security cameras, are used for monitoring businesses, homes, and other types of properties. Surveillance cameras are typically connected to recording devices such as a DVR or NVR. Surveillance cameras help you monitor a scene. The DVR/NVR stores the data allowing for playback of the recorded images. If you add remote viewing capability, you can enhance the level of security of your business with the convenience of having access wherever you are. OVDC is Ohio’s leading provider of video surveillance solutions. Our experts will help you choose the right type of cameras for your situation, offer suggestions on the best placement of the cameras, and will perform the installation in its entirety. From the installation of entirely new systems to upgrades of existing systems, including integrated video systems and CCTV or IP cameras, our specialists help you choose and install the best solution for your needs. Here is a look at some of the surveillance solutions we provide. Surveillance cameras are also known as security cameras. They are used for monitoring businesses, homes, and other types of properties. Surveillance cameras are typically connected to recording devices such as a disk or tape recorder. Surveillance cameras help you monitor a scene remotely and play back the recorded images. OVDC is a leading provider of video surveillance solutions including security cameras in Ohio. Our experts will help you choose the right type of cameras for your situation, offer suggestions on the best placement of the cameras, and do the actual installation. Analog security cameras record videos or pictures as analog signals. Most older security cameras are analog. Analog systems record directly onto a digital video recorder (DVR). To save recordings to a hard drive, the analog signals are first converted to digital format using a video capture card. Although analog security cameras are no longer the preferred method of surveillance, many businesses find they are sufficient and continue to utilize them. Often times, it is more cost-effective to install additional analog cameras to an existing system in order to provide more coverage. The cost to exchange a DVR for an NVR, and replace all the analog cameras, can seem unnecessary for some applications. If you wish to add additional analog cameras to your network, our experts can set them up for you. OVDC is equipped to handle the installation of any security camera whether analog or digital. NVRs are typically used in IP camera systems. Cameras are not connected directly since the input is from a network. In a DVR video is encoded on the unit while a camera encodes video on a NVR. NVRs minimize the wiring required especially if the existing network infrastructure is being utilized. Digital video recorders record video in a digital format typically on a hard disk drive. DVRs allow for easy reviewing and playback of video. DVRs are low maintenance and can be backed up using NAS, RAID, and other mass storage devices. IP cameras can simply be described as the modern day version of analog cameras. IP cameras are digital security cameras that can send and receive data through a computer network. IP cameras have gained in popularity among business owners and homeowners in the recent years since they have become increasingly affordable and provide unrivaled picture clarity. Our technicians can install IP cameras in your place of business, allowing you to rest assured knowing that you are properly secured. Remote viewing of recorded and live surveillance video footage can be extremely useful. This is particularly important when on-premise security personnel are not utilized or are unavailable for monitoring. Business managers, owners, and other staff can use remote laptops, computers, and smartphones to view the footage via the Internet remotely. Our experienced professionals at OVDC can help you set up remote monitoring so that you can monitor any suspicious activity and confirm alarm signals. 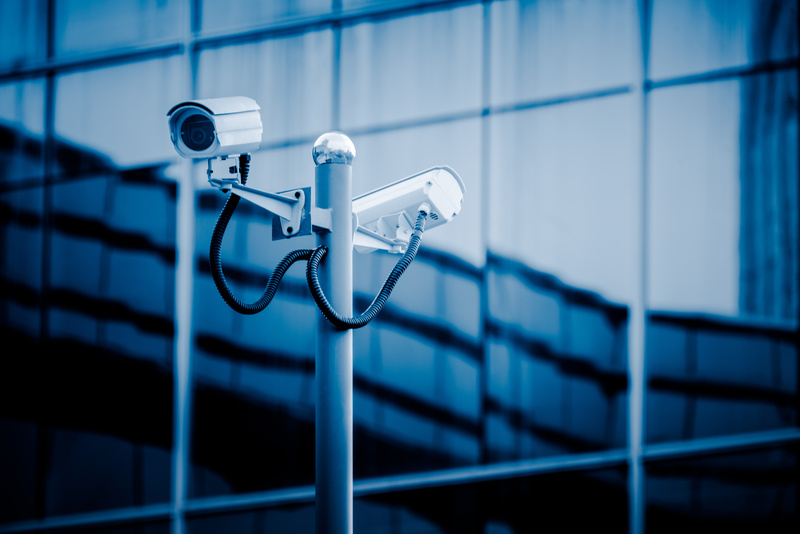 Ohio Voice Data Cabling is a leading provider of video surveillance solutions. We supply and install different types of video surveillance systems such as IP and analog cameras, DVRS, NVRs, and much more. If you have purchased your own surveillance equipment, we would be more than happy to set it up for you as well. Call or email us today for video surveillance solutions, even those not listed here. We look forward to hearing from you!